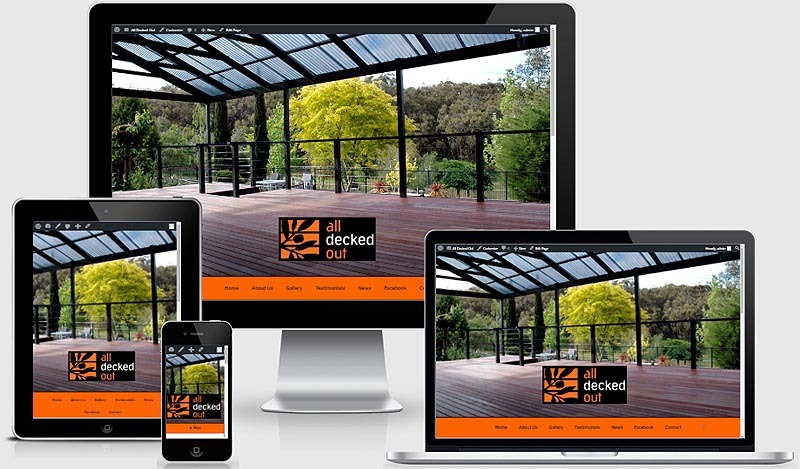 A Responsive Website website is vital! It is critical that your website is mobile friendly so that it can be seen on mobile devices such as phones and tablets. This is referred to as “responsive” design. It means that you site squishes and stretches to fit any size screen and it looks equally good on any device. I test all websites I build and ensure they are compatible on all devices. After all, you cannot possibly own every device on the market to check a new website, so it is vital to test how they will appear, especially on mobile phones. Additionally, when displayed on a phone, a mobile-friendly site will have the function to allow you to simply click on any phone number on a screen to call it. I consider ensuring that yours is a responsive website to be a part of developing a website, not an add-on cost. Responsive web design crafts websites to provide an optimal viewing and interaction experience for your customer. a minimum of resizing, panning, and scrolling, across a wide range of devices from desktop computer monitors to tablets and mobile phones. A responsive web design adapts the layout to the viewing screen by using fluid, proportion-based grids and flexible images. Media queries allow the page to use different style rules based on characteristics of the device the site is being displayed on, most commonly the width of the browser. Responsive web design is vital today as mobile device traffic accounts for more than half of total internet traffic. Another important consideration, and an indication of how essential responsive web design is, is that Google boosts the ratings of sites that are mobile friendly if the search was made from a mobile device, in effect penalising sites that are not mobile-friendly.